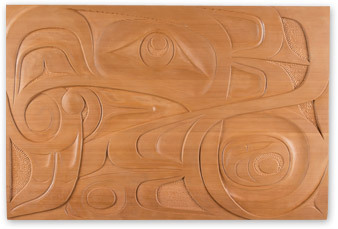 The serene and relaxed atmosphere found at W SkinCare clinic locations, draws inspiration from the unique way of life enjoyed on the West Coast. 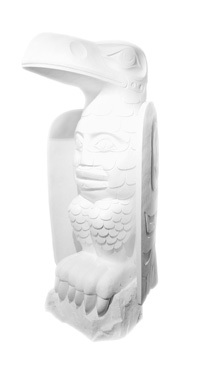 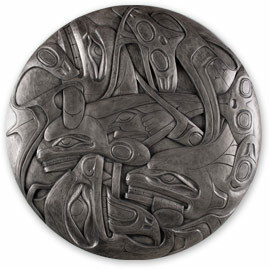 We are particularly proud to showcase the talented native artistry of Haida Gwaii and the Pacific Northwest. 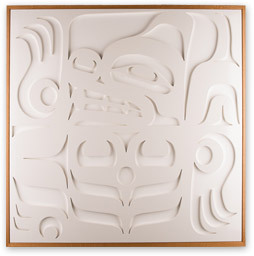 Signature pieces – such as the incomparable Jim Hart’s Raven Totem – and other amazing works depicted here are displayed courtesy of Douglas Reynolds and the Douglas Reynolds Gallery in Vancouver, Canada. 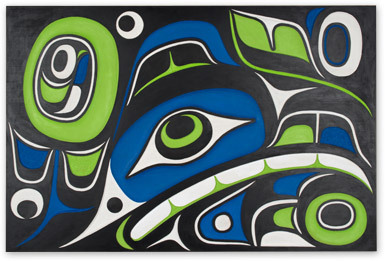 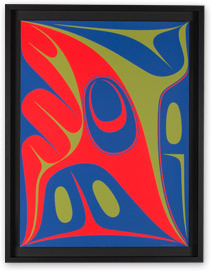 Robert Davidson has been a pivotal figure in the Northwest Coast Native art renaissance since 1969, when he erected the first totem pole in his ancestral Massett village since the 1880s. 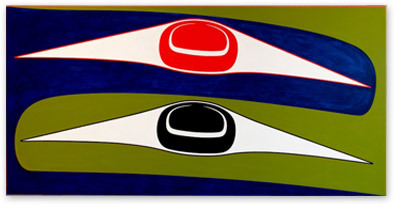 For over 40 years he has mastered Haida art traditions by studying the great works of his great-grandfather Charles Edenshaw and others. 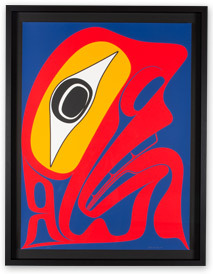 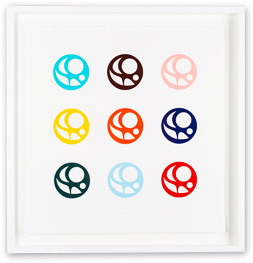 In this composition Malesku takes her inspiration from British artist Damien Hirst's Dot prints, and combines them with a First Nations Salmon egg design. 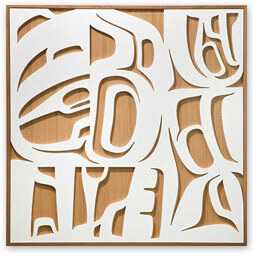 The result is a great mix of First Nations art and contemporary pop culture.